Four travels between Colombia and Miami were necessary for Beto Perez to find a place, where he could teach people in the beautiful and healthy ways of Zumba. Yes, the newest fashion in the world came from this Columbian man who, through hard work and not giving up, managed to find a manager to help him get his own class in the United States. The one final trip when Perez got his place in Miami was a rather funny situation. In 1999, the manager, whom Perez was trying to convince that his workout class was going to be a success, said that he needed to try it firsthand. Beto said OK and started showing the magic of Zumba. In a while, several people had stopped by, watching the dance. At the end of the evening, there were about 15 people willing to sign up for the class, just after seeing the demo lesson. Things were destined to start bad, though, since, at the very first class, Beto Perez was late. He didn’t know how to excuse himself, that why he just played the music for the exercises and fortunately everyone felt in a good mood and the time lost was forgotten. People just adored the dances. But the success of this Columbian citizen did not come solely from luck, it came through hard work and many compromises compared to which the four trips to the States seemed miniature. Alberto “Beto” Perez grew up in Cali, Colombia. He had been raised by his single mother, but when she was hit by a stray bullet, he needed to take charge of his own life and begin something of his own. Working at three different jobs was taking its toll on him too, even though knowingly and willingly doing it, he dreamed of having a little something of his own. This something was Zumba and it turned out a lot bigger than he had imagined. Going through many auditions and winning some very big such as the one in Lambada at 19 years of age, Beto Perez was invited to study in an elite dancing academy while teaching step aerobics. Zumba was born in his head when at one point he had forgotten to take music for the class he was teaching. Instead of panicking, he took out the cassette with recorded Latino music from the radio and played it. Then the unrelated music suddenly connected and it all became one in his mind. Zumba is a combination of many different dances and practices. With the alternating slow and fast moves, people are not only losing calories, but also exercising a variety of muscle groups, toning and stretching them better than with the usual gym training. Together with the music, which can vary between salsa, merengue, hip-hop, and reggaeton, this workout routine is definitely a favorite of the crowd. It can be practiced by everyone and is so much fun that you forget that you’re actually exercising. As far as it has probably seemed, success was at Beto Perez’s feet. Many people came to help for the existence of Zumba as we know it now. Two of these people are Alberto Perlman, the son of one of Beto’s students, and his friend and colleague Alberto Aghion who were currently having issues with their own business after the dot-com crash. Together with Perez, the three of them began the institution now known as Zumba. However, even with their combined powers, they couldn’t make it big fast. It was hard – they needed to think of new ways to promote this new item and doing this was not easy. Special infomercials and Zumba fitness DVDs were produced in order for a bigger audience to reach, but after 9/11 even things became even harder. All they needed was to leave it to rest for a bit to become good dough for a good business. Soon, people were coming to them asking to become as good as Beto and even wishing to be instructors themselves. 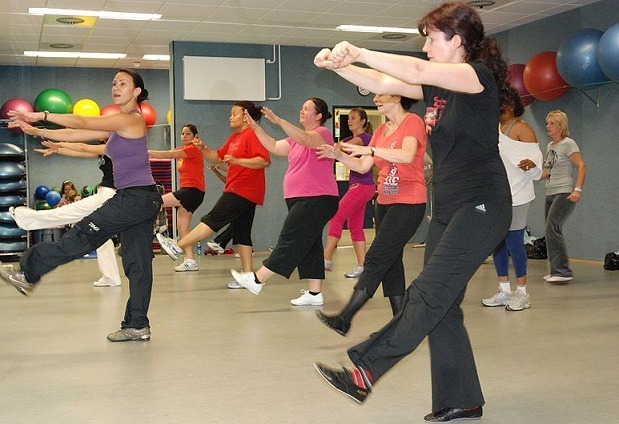 Following this new wave of fans, several workshops were created and by 2003 there was a global net of Zumba instructors. Zumba now is nothing like Zumba from 1999. It is wider, bigger and more money-making. 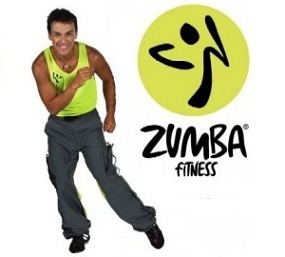 Zumba.com has a special instructor’s subscription where for just $30 per month they can have their schedules posted and acquire access to new choreography and music for their classes. Dances, websites, and Zumbawear are all a part of the big franchise. After an interview with Perlman, it became known that even a Nintendo Wii game was to be released in 2010. Currently, there are official licensed Zumba instructors in over 70 countries across the world; over five million people are learning and exercising the ways of this dance-goes-training phenomenon of the century. From The States to Latin America to Asia, over thirty thousand instructors are providing their knowledge to their pupils. Nearly 5 million Zumba fitness DVDs have been sold over the years. Even Zumba wear is having its prime time right now with many people wishing to wear the best for their routines. Previous story Godaddy.com – Domain, E-mail, or Hosting?